Growing up in Lake Charles, some of my favorite outdoor memories as a child were along the Creole Nature Trail All-American Road with my family. In the winter, we duck hunted, ate gumbo and popped fireworks on the beach at Johnson’s Bayou. 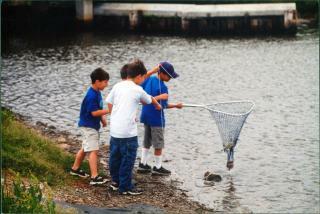 But in the summer, we fished, caught frogs, swam in the Gulf of Mexico and crabbed along the side of the road. Dad would always bait the crab lines with melt or turkey necks. We’d tie the end of the string to either the dock where we were crabbing or on a stick we jabbed in the ground and throw the bait in the water. When the line went tight, my brother and I would race to see who would pull up the crab and who would handle the dip net. Generally, we took turns but I really liked to pull them in. I’d slowly pull up the string, bit by bit until you could see the crab through the top of the water. 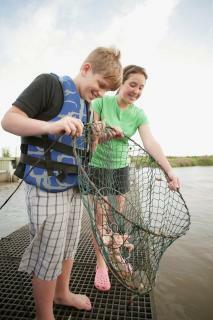 Then, my brother would stick the dip net down under the crab and pick it up quickly. Once we had a few dozen in the vintage aluminum tub, we’d bring them home and get the burner and pot out for a crab boil. While Dad got the water boiling and added the butter and spices, the kids would line the patio table with newspapers. We’d sit outside and share stories for hours while we peeled and ate the delicious Louisiana blue crab. 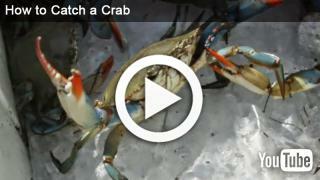 If you have always wanted to learn to crab, check out this video.